In 2014 Terry and I averaged 30,000 miles, testing over 15,000 people. We were returning to customers for the 2nd time and that was getting boring. Our work days were getting longer and the drives less enjoyable – we were ready to settle down for a bit. When you HAVE to move every few days it gets old. Sometimes new RVers experience the burn-out too. They try to see ALL the places that were on their bucket list the first year they start full-time RVing. By September we were ready to park it for a while. If our jobs had been such that we could slow down and stay longer in 1 location, we definitely would have. But, the work schedule wouldn’t allow that and our scheduler made the days so long we barely recouped over the weekends, so we had to make a decision. 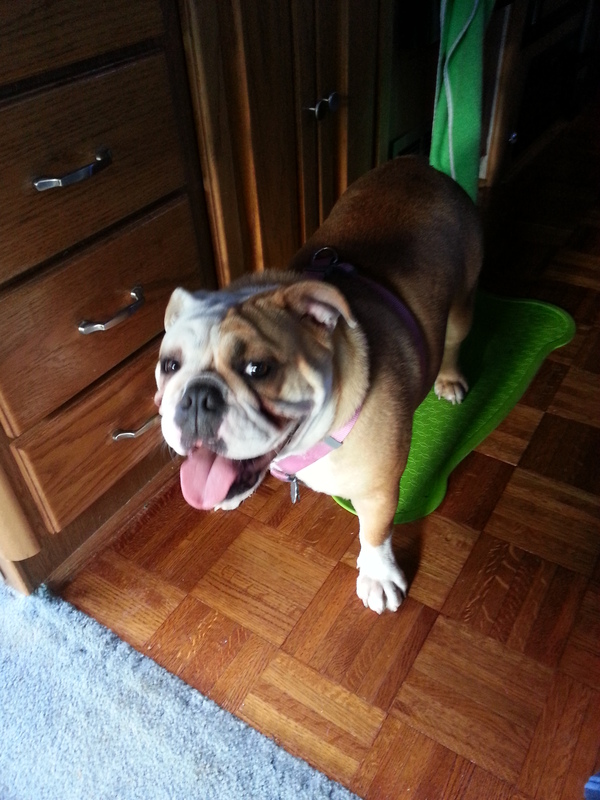 In April, we adopted an English Bulldog, Maddie, who is a great traveler. In August, my Dad passed and in September Mom decided she wanted to be closer to her 3 children (2 of whom live in Florida), so she listed her park model in Montana with a local realtor to sell, packed up her favorite stuff and moved to Lebanon. My family had a nice Christmas reunion – it had been 42 years since all 4 of us spent a Christmas together. Terry and I were in a comfortable place without having to move the work trailer, RV or catch a flight for the holidays, and It’s been a nice change. Here it is March already and we’ve been parked 4 months ow without a move in our immediate plans. Spring hasn’t sprung yet here in middle Tennessee, but this week the decorations and gardening supplies are arriving on store shelves. Soon we will be sitting outside under the awning watching the boaters on the Cumberland expressing gratitude again that our RVing lifestyle offers us so many choices. Home vs. Domicile – how do full-time RVers handle mail? Although we travel full-time in our motor home, we are required to have a domicile. You may call it “home”, “where you stay” or “homestead”, but the government authorities insist you have a “domicile” on record. Your home and domicile can be 2 different places – and for RVers who travel full-time that is often the case. 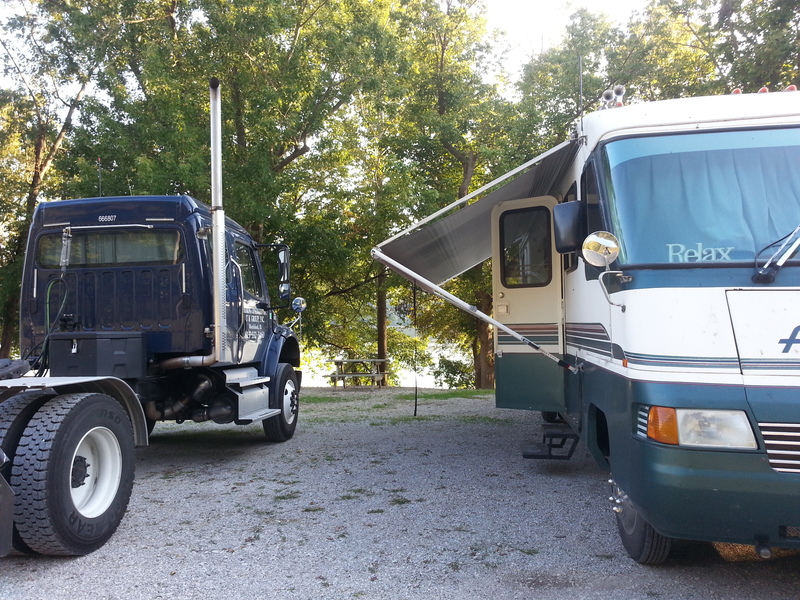 Our “Home” is where we park it – that is, our RV IS our home. But our “domicile” is Lebanon, Tennessee – that is where we get our mail, have our driver’s licenses and vehicle registered, etc. For those who live in an SNB (a stick built home NOT an RV) the two addresses are often the same. If you live in an apartment or mobile home park, but get your mail at the Post Office – that is similar to how us full-time RVers handle it. Our RV is our home and it rolls with us – our mail and correspondence gets sent to a physical place and we catch up with it as we can. Terry and I are spending the Memorial week near Nashville, TN – hence can run by our UPS Store in Lebanon to pick up our mail and Amazon orders that we had sent there. If we were not going to be physically in town, we would have the UPS store forward our mail to the RV Park where we are staying. This way, we can also restock groceries in our favorite local health food and grocery stores, stop by the been-there-forever farm stand for fresh locally-grown tomatoes and visit with our local RV repair shop. Changing domiciles – nowadays – can be a real PITA. You used to be able to go into the post office, get your new address, drive to the DMV, apply for a new license and then start notifying everyone “I’ve moved!”…. well, it is no longer that simple. You have to show PROOF to everyone of who you are and where you choose to be domiciled – and of course, because it’s all handled by the Department of Homeland security now, each department has different documents they want you to provide. If you have a commercial driver’s license like Terry and I both do that makes it even more difficult, in addition to the DOT requirements you already need to meet. My last trip to DMV in TN to change from Arizona took 4 different trips and the desk clerk STILL screwed up my mail-to address from the information I had written on their application ! Even the clerks are confused about the process and what CAN and can NOT be used for ID as well as addresses. You can apply for a voter’s registration card online and mail it in, but everything else that uses that same Voter ID card for proof of who you are, must be notarized and validated. It’s the craziest policy I’ve ever seen in 40+ years of driving, but “it is what it is” and we have to deal with it ~ just like many other parts of our life that are being regulated more and more by our public “servants”. (Do you hear a little sarcasm in there?” Yes, it’s VERY frustrating dealing with “them”! If you are considering RVing full-time, I highly suggest you join the Escapees RV Club – it was started by a couple who chose early in life to live in an RV as they worked around the country, so they kept in touch with a mimeographed letter to friends and family. We didn’t have email and social media back in the 1980’s! Joe & Kay Peterson were pioneers in the RVing full-time area ~ they are the founders of The Escapees Club ~ and now have a 3rd generation of Petersons (and spouses) along with many other employees & volunteers operating the membership club. In my humble opinion, Escapees is THE BEST RV club for anyone who is interested in this lifestyle we have chosen. They also have their own mail processing center in Texas (soon to be expanded into Florida & South Dakota) and offer LOTS of knowledge to members on the subject of RVing. It doesn’t matter whether you are RVing in a tent, van, pop-up, travel trailer, fifth-wheel or million dollar motor coach, The Escapees Club welcomes you with a warm SKP hug. If you do decide to join Escapees, please tell them SKP # 90684 referred you. I get a lamplighter pin to add to my name badge 🙂 Thanks! and SKP hugs to you and yours. Happy RViing! 2014 – did spring get lost somewhere ? Winter has FINALLY decided to move on – at least in our neck o the woods! Today is April Fools’ Day and we are in sunny Georgia. I thought a beautiful sunny WARM day like this would NEVER get here! When we purchased Lucy in October last year, we headed north – got stuck in more cold, snow & ice than I ever care to experience in my lifetime. Burning thru $30 of propane on average a week wasn’t fun either. The price varied as we traveled from $2.79 to $4.25 a gallon and a couple times we had to travel a bit to find a place that would refill the RV. With the entire nation experiencing an LP shortage we were grateful to find any place with a supply to sell. Keeping our work trailer warm was a challenge too – we ended up purchasing 2 additional electric space heaters which was less expensive to run over the weekends that 2 LP furnaces. January brought 2 big storms across our paths – and 2 of our jobs in Alabama were cancelled due to the ice that covered roads and bridges. We experienced 1 storm in a private RVP along a river in Historical Cave Spring, Georgia. 2 days before the storm hit we watched as locals came to refill their drinking water bottles at the springs. This beautiful land that is now a public park was donated to the area by a local physician who developed his property into a hospital many years ago. What a quaint town Cave Spring is and a treasure to experience. It’s only a 2 hour drive west of Atlanta – and well worth your time if you are ever moseying thru this part of western Georgia. It’s just 30 miles north of I-20. In February we had the opportunity to introduce Facebook friends to the joys of being Escapee RV Club members as we met.up on their journey westward to their first work camping experience in Colorado. Evan, Tina, Jackson and Emmerson Robinette from South Carolina, made a special detour to connect with us at the Raccoon Valley RVP north of Knoxville. We enjoyed the weekly Friday night jam session in the cluhouse and shared a meal together. Staying at Raccoon Valley in an RV had been on our bucket list, so this stay was extra special for us. If you aren’t yet a member and decide to join The Escapees RV Club, please tell them SKP # 90684 referred you. I get a little lamplighter pin to display on my membership badge as a thank you. Thanks! We were able to spend the final week of February in Knoxville getting Lucy an oil & filter change done as well as some much-needed repairs to our work trailer. The Folks at Tenneessee RV Center and Knox Trailer come highly recommended and we will definitely plan a return there when we need more service to our 1994 Tiffin Allegro Bay or Supreme 40′ trailer. As spring started sprouting around the beginning of March we were in Atlanta. The first signs were the Bradford Pear trees with their spectacular white blossoms filling the trees. Red buds, crocus and daffodils also told us “spring is here” as we traveled to a few local jobs and up into the North Georgia mountains. For our current 3-week project we have been staying at Jellystone Campground near Bremen, GA enjoying a daily rental of DirectTV satellite. Almost makes up want to subscribe …. we have really enjoyed Cesar 911 and Oprah’s Lifeclass when we have time to sit and watch TV. On the technology front we purchased a Millenicom mifi device and were able to reduce our Verizon data plan enough to almost offset the $70 monthly cost. It works on the same network and allows multiple devices to be connected – but the biggie is 20 GB of data for less than what 10Gb cost us thru VZW. A good budget decision, we think. 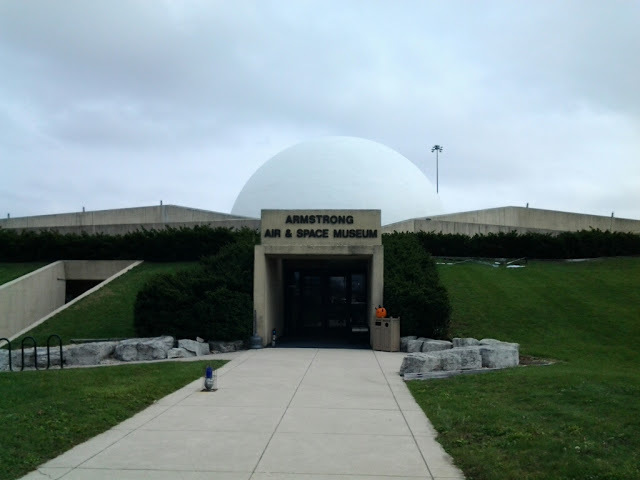 We visited the Neil Armstrong museum, located just off I-75 at exit 110 in Wapakoneta, Ohio. 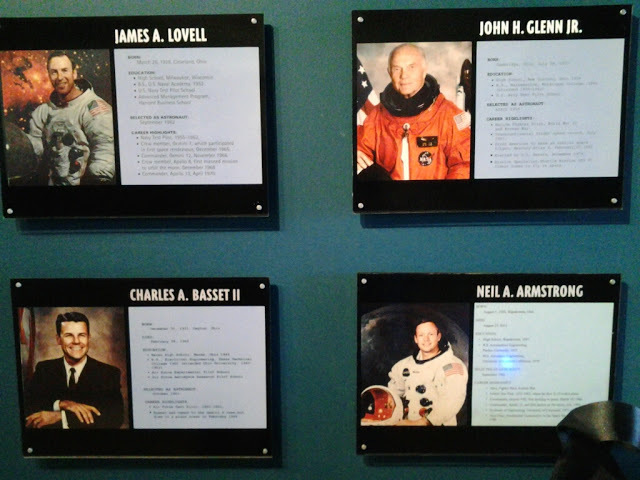 This is a small museum, but loaded with pictures and items familiar to me and many of us who watched intently the NASA space program on television growing up. 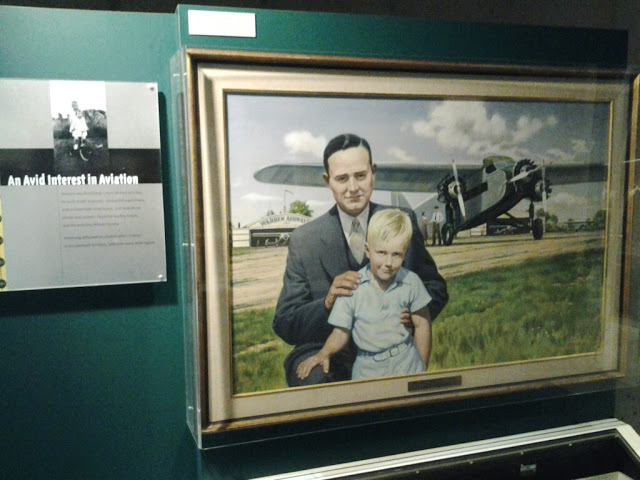 Mr. Armstrong was born on a farm in this historic town, having started flying at 16 years of age. Much of the items in the museum are items donated from his family to the museum to share with others. 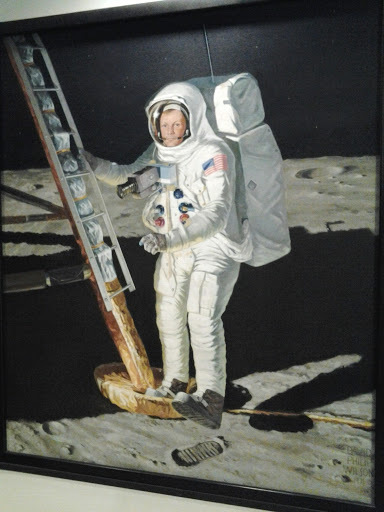 Since Neil was the famous astronaut who first stepped on the moon and gave his “One Step for a man, a giant leap for mankind” speech … this museum was something both Terry and I wanted to see. There is a fairgrounds, KOA and a couple other campgrounds in the area, so RVers interested have options for parking nearby. Downtown offers some shopping and a nice lunch at the Cloud Nine Cafe – who make fresh fudge and cheesecake daily. We enjoyed a nice lunch of Quiche Lorraine and a grilled Reuben sandwich along with flavored coffees. The downtown area also offers beautiful mansions from the late 1800‘s as well as a beautifully restored courthouse. 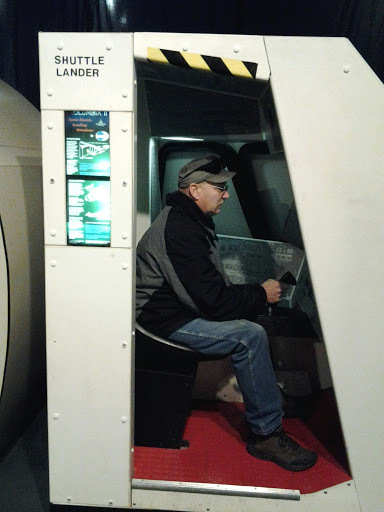 At the museum, Terry played with a couple of the flight simulators as well as perused the gift shop at the exit of the building. The $8 per person admission fee was worth the couple of hours we spent reading, taking pictures and watching a short video of the Apollo 11 mission. June started off with another location checked off both Terry’s and my bucket list. Since we recently watched I’ll Have Another win the 2012 Derby, we decided to visit the Kentucky Derby Museum at Churchill Downs, then stayed later to bet on a couple of races that evening at the track. The upshot is …. the first horse I ever bet on in my life …. to win-place-show WON! So my $6 bet earned $13.20 ! We sat trackside at the finish line and experienced in person all the sights we had only seen on TV previously. The following week we worked at one of the historic distilleries near Bardstown, KY, and enjoyed the small town atmosphere the south is so famous for. THIS town is extra special though. Bardstown, KY was voted by the USA Today Best of The Road Best Small Towns in America: 2012 Most Beautiful and we can see why. Many of the 1700 and 1800’s homes have been restored. Even the old 1700’s cemetery is well cared for. We checked out 2 campgrounds and the My Old Kentucky Home State Park named after Stephen Foster who wrote the Florida state song Way Down Upon The Suwanee River that I grew up listening to as well as the Kentucky state song. We enjoyed green fried tomatoes at Kurtz’ Restaurant that has been serving travelers since the 1800’s. The owners’ great grand daddy built the home on a ridge to avoid the floods that had destroyed their other home previously. Then the family lived upstairs serving travelers from the downstairs kitchen and 2 small rooms. Now, the granddaughter and her children are still serving hungry travelers after 75 years! We also ate at the Old Talbott Tavern, the longest continuously operating tavern west of the Allegheny mountains. The highlight of our Bardstown experience was the Heaven Hill distillery tour and trolley tour of downtown. I HIGHLY recommend you take the trolley tour FIRST to familiarize yourself with the town’s must-see stops. We also took the horse-drawn carriage ride at dusk. In central Ohio we explored Lyme Village – a restored “firelands” 1800’s village. Our tour guide was a 14-year NOT YET high school student who obviously has spent much time learning and researching relative historical facts. His appreciation of and knowledge about the use of antique tools was amazing. He got so excited telling us he had found his ancestors in many of the record books displayed in the various buildings on display. We shopped at the Pepperidge Farm factory store in Willard, stocking up on VERY FRESH cookies and Goldfish crackers. Fulltime RVing friends of ours, Nick & Terry Russell who write The Gypsy Journal recommend we visit the Warther Carving Museum when we were near Canton. So in addition to the Pro Football Hall of Fame that was on Terry’s list that’s exactly what we did. Thanks for the tip Nick & Terry! The intricate carvings of 10,000 pieces of wood assembled into historic trains were fascinating to behold. Descendants of Mooney Warther who made all of the carvings as a HOBBY still operate the museum to this day, which is a feat in itself. We purchased a hand-made knife at the gift shop which includes free lifetime sharpening. An old-timer we met in the parking lot visiting the museum one more time says when he was boy almost 70 years ago, he used to play and swing in The Warther’s back yard. We wrapped up the month of July by enjoying two full days at the KY Horse Park which has been on my bucket list since my Mom camped there 10 years ago when she first started RVing. The KY Horse Park Campground feels like a resort with well-groomed spacious RV sites under beautiful trees, a tennis court, swimming pool and paved golf cart paths – all for $30 a night FHU! The KHP is HUGE and offered not only the park to enjoy, but two completely different shows happening at the same time. In the KHP itself there are museums, historic barns, shows and rides all included in the $16pp admission fee. Included is a horse-drawn carriage ride, a show of various breeds, beautiful barns and horses everywhere. A full day of walking the grounds had us worn out, but we went back on Sunday to take a horse farm bus tour. That was $30pp and well worth it. Our driver is a Lexington native, with extensive connections into the operations side of many historic farms. At Keeneland we fed some of the horses in training peppermint candies, rubbed noses with million-dollar foals and heard about some of the farms that have been purchased by sheiks and multi-billionaires as we passed by on the tree-lined back roads. One of the custom-built barns cost over $750,00 to build and was truly a beauty to behold. One of the guests on the tour was a gal from Australia who is travelling the USA for the year with her family in an RV. They sold their property development business last year, flew to LA, bought a tow vehicle, travel trailer and GPS system. They’ve been out west and are now heading east and will finish up in Florida at Christmas. The most unique feature of the Lexington area are the miles of dry stacked field stone fences that line many of the roadways and pastures. Some are from the early 1700’s when crews were taught how to build them by the Irish emigrants who settled in the area. It’s almost a lost craft now, and they can not be removed, only repaired. The area between Paris, KY on the east side of Lexington and Louisville, KY with Bardstown in between is simply amazing countryside and one we could easily spend a couple more months exploring. If you love horses and/or beautiful countryside, there aren’t many places in the world that can compare. Kentucky is a true American Treasure. 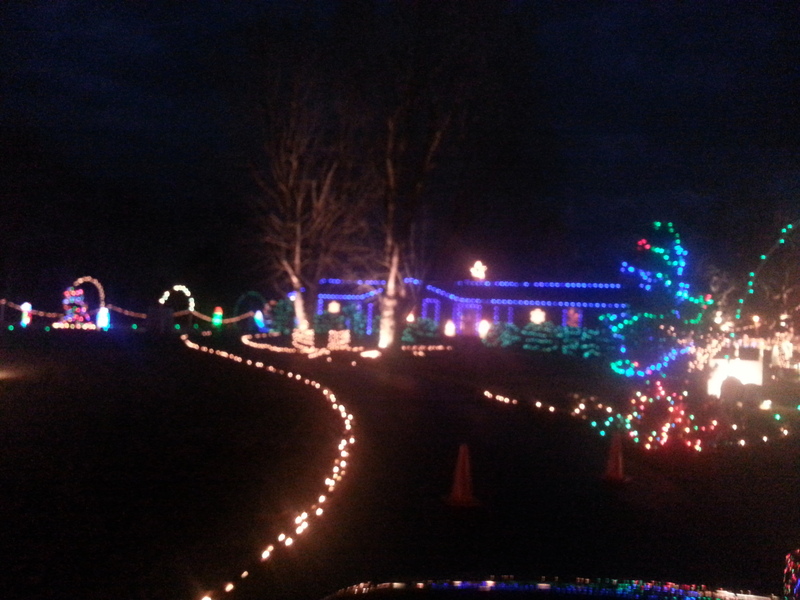 Come On Over … they’ll leave the light on for ya ! My first RVing experience was in my grandparents’ 1971 Airstream. My then-husband and I borrowed it when we moved from Florida to North Carolina. After getting separated in heavy Atlanta traffic, we finally made it to our friends’ horse farm and set up shop. When the shower pan leaked water all over the hallway, it was time to get it to an RV repair shop so at that point we vacated the RV lifestyle and moved into a mobile home on the property. It was another 30+ years before I ventured into even THINKING about RVs as a viable roof over my head! When a work project located us 30 miles from THE Airstream factory, I just couldn’t resist. Besides, it had been on my bucket list for “someday”, so why not? I had also read it was one of the best factory tours RVers should take advantage of, so off we went. Their website said they only offer 1 tour a day, at 2pm but we arrived 45 minutes early and entered the Service Center building. Parked out front were 4 vintage Airstreams. As soon as you enter, you are greeted by desks built like the ends of an Airstream RV. It’s quite a thrill to be standing there looking at the aluminum clad walls and desks with the familiar logo. 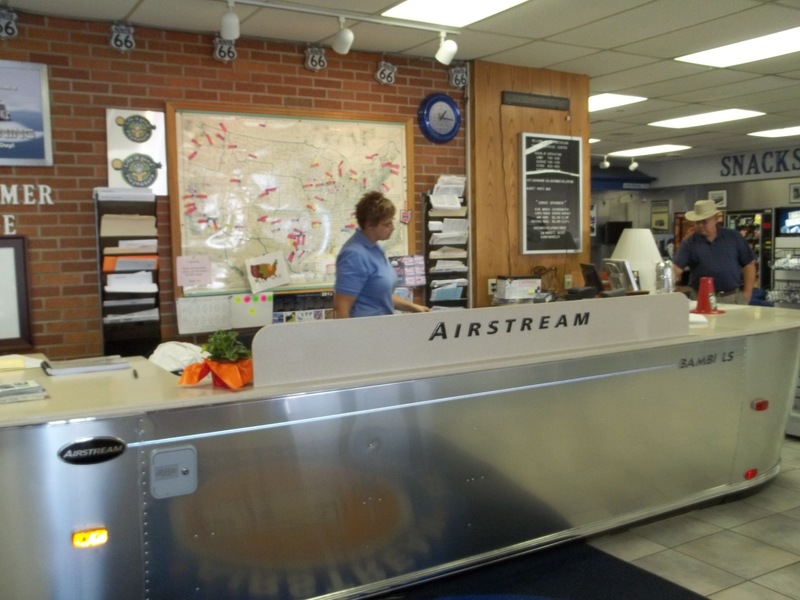 With plenty of time to shop, we walked around the gift shop, resisting the urge to pick up polo shirts and other trinkets with the Airstream logo. Since we are VERY limited on storage space, our purchases are limited to NECESSITIES or a post card for our travel board. The furniture in the waiting area is the same kinds of couches and chairs that are installed in each Airstream. The TV stand looks like the rear window of an Airstream. The video that runs continuously explains WHY an Airstream is a superior travel trailer. Once our group had registered (there were 45 on this particular day) our tour guide began his presentation. 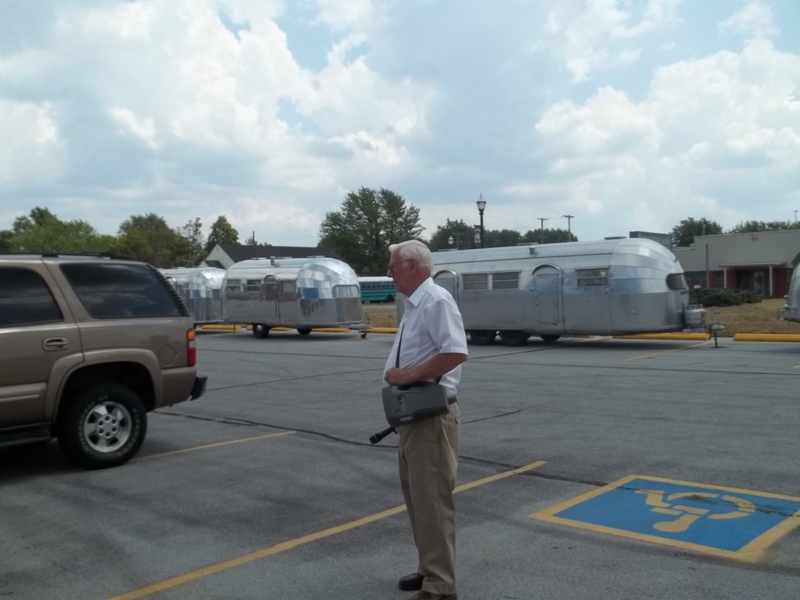 This gentleman began working for Airstream when most of the buildings on the complex were still cornfields. He has been presenting the tour for the last 20 of his over 50 years working for the company. He loves this company AND his job and it shows! After 45 minutes inside, we ventured out to the parking lot and on to the manufacturing plant where workers were in various stages of assembling the latest models. First we checked some of the units being serviced or refurbished at the service center. 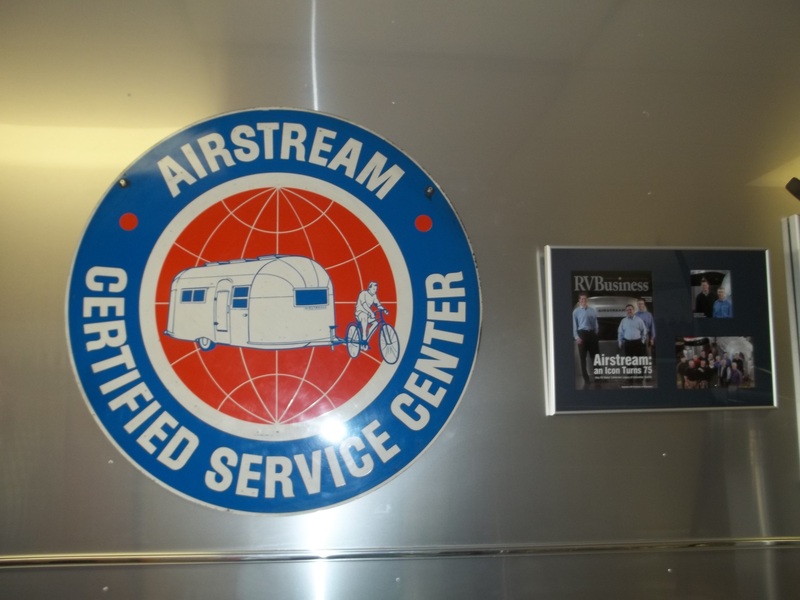 RV owners come from all parts of the country to have their Airstreams serviced at the factory. Some Airsteram owners will drop them off for a complete re-do that costs as much as a new model because they want it done right, but they want to keep the vintage look on the outside! The above RV was a 1973 model! No pictures are allowed to be taken INside the factory and we had to put on safety glasses and ear plugs which are given out in the reception room. The walk to the factory gave us an opportunity to view some of the RVs waiting for their turn in the refurbishing area. An RV park behind the service center had another 10-15 units with owners waiting for their turn to get into the service area. Sometimes they will have a 3-4 day wait, but it’s only $10 a day for their space. We walked past the VERY FIST Airsteram that ever rolled off this property. 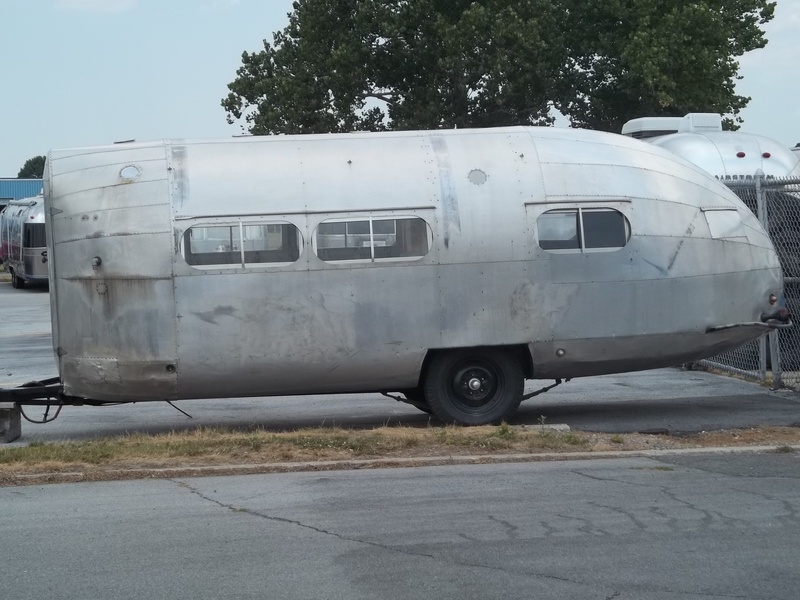 The originals owners’ estate had donated it back to Airstream to be placed in the future Airstream museum, which is still in the planning stages. 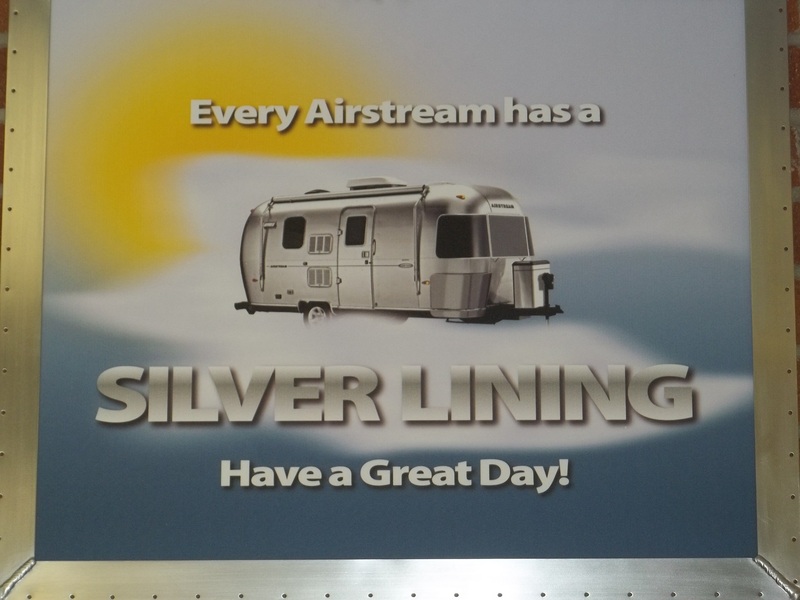 Many families have kept their Airstreams in the family and respect the icon of camping. 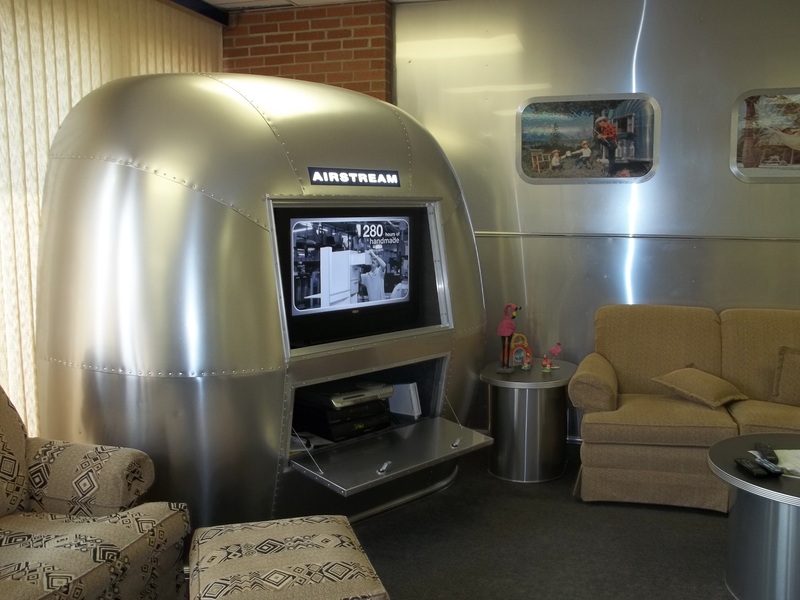 Once we completed our factory tour our total time at Airstream had been over 3 hours and our legs felt like rubber bands. Thank goodness we had worn our walking shoes! 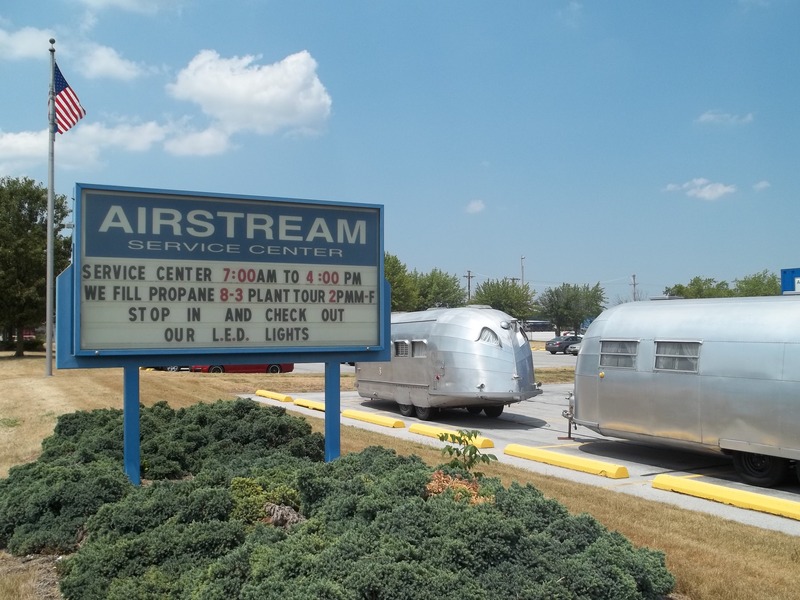 If you are ever in the north central Ohio area, make time to spend an afternoon at the Airstream Factory. A quick exit off of I-75, it very easy to get to. 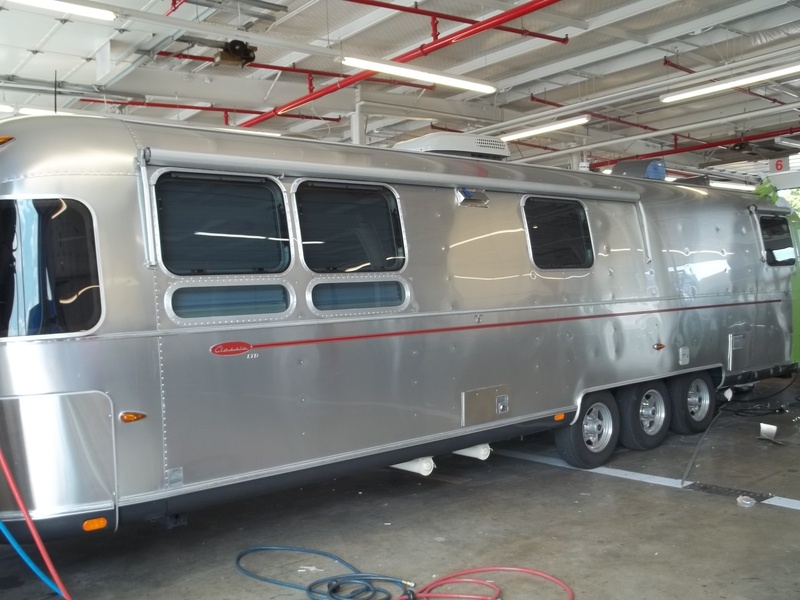 The tour is free and it’s well worth your time to hear a 100% Airstream fan share his heart & soul about the Airstream story of which he has been a critical and devoted part to their world-wide success. Wally would be proud … very, very proud.